Using direct, digital controls for HVAC operations, United Heating and Air Conditioning customers achieve system performance and higher energy efficiency higher efficiency which, in turn, translates into lower energy and business operating costs. 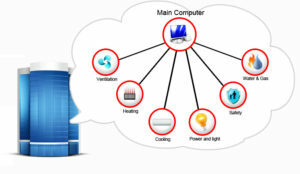 Using automated, web-based systems, which allow building engineers, facility operators and owners have more control over their heating and cooling units. United Heating and Air Conditioning can monitor your system, and respond to alarms from local or even remote locations. Building Management Controls allows for building systems to be scheduled for occupancy, with all of the configurments able to be changed remotely.